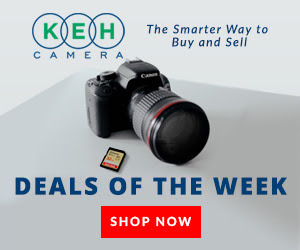 I am pleased to announce this blog entered in the affiliation program of KEH, the world’s largest online used camera and photography equipment store. It is simply an advertiser perfect for this blog, and through posts on this blog we will present some products and offers for my readers. IN MY EXPERIENCE AS A STREET PHOTOGRAPHER I DID HAVE SOME NICE DIGITAL CAMERAS. SOME OF THEM ARE STILL WITH ME. IN THIS POST I WANT TO SHARE WITH MY READERS WHAT ARE IN MY OPINION THE BEST OF EVER WHEN WE TALK ABOUT STREET PHOTOGRAPHY AND DIGITAL CAMERAS. These are the cameras I used and I still use when it comes to pure street photography. While Lumix LX3 has been a great camera to use and that I would still recommend if you will be able to find one on the used market, Oly Pen has been a challenging camera, with the focus on menus and not dials, and with a terrible autofocus, but I still achieved to make some of my most important pictures with that camera. Ricoh GRD is a fantastic camera that any street photographer would love, and it was a great companion in my explorations of the barrios for 4 years, before to sell to a friend, a street photographer I also featured recently in my magazine. Leica X2 and Fujifilm X100S are still with me. Leica is essential, basic in its focus on photography without spectacular features. And when you learn to use it at its best is one of the best tools you can desire as a street photographer. I am using it as a monochrom camera because the jpgs are simply fantastic, and with the right settings you can reply very close to TRI-X film for a digital camera. I am still in love with this camera. Fujifilm X100S is a great camera for street photography. It is most of the time with me. THIS IS THE HANDS ON REVIEW OF FUJIFILM X70, A CAMERA THOUGHT FOR STREET PHOTOGRAPHY, BUT DESIRABLE BY OTHERS. MAYBE CAN BE JUST THE FIRST PART BECAUSE I WOULD TEST IT ALSO WITH AF ON: IT SEEMS AF ROCKS WITH THIS CAMERA. PLEASE NOTE: this is a Street Hands on Review. What it means? This is not the usual review you can find in other blogs because we are not interested to review the camera from the nerd’s point of view, analyzing in depth the noise at different ISO, maybe proposing the same bad picture. I am a street photographer and this blog is focused on street photography, so this is the reason you have here a different review. As an X Photographer I have the opportunity to test all the Fujifilm X Series Cameras, but don’t think I will make a gooder review if I am not satisfied with the camera: this means on my review I will share with you pros and cons. I start this review with a consideration: Fujifilm X70 is the direct competitor of Ricoh GR II. If you are thinking to Leica X2 you are wrong: they are completely different cameras starting from the focal range. With Ricoh GR Fuji X70 shares the ‘attitude’ being a 28mm lens, with an APS-C sensor, enclosed in a tiny body. If you follow this blog you know I worked almost 4 years with a Ricoh GRD IV and just tested for 2 days a Ricoh GR I.
I would clarify a thing I dislike of the camera: the lack of an optical viewfinder built on the camera. As my X20 shows it was possible to include it. Personally I don’t get annoying by the fact of parallax error – how many masters of photography were used to this? – and the fact in X20 part of the vision was covered by the lens. In fact with X70 this was not an issue due to the fact we have a real pancake lens. The lack of a viewfinder was the reason I decided to switch from my Ricoh GRD IV to Fujifilm with the X20 as second camera for Street Photography. Today I need a viewfinder most of the time, and yes also for a compact camera like this. It changes completely the approach in the street, where I need often to meet an eye contact with my subjects. I still can frame with my eye without a viewfinder, no need to frame really with a LCD too. The same I was making with my Ricoh in the past, but a viewfinder is an important feature in a camera in my opinion. Also with a 28mm wide angle lens. The main reason why I shoot using zone focus is because I am very quick to frame and shooting. Quicker than any AF, just as this picture. I felt the subject close to me coming on the frame and I took the picture. The camera reacts pretty well. Another issue I found it with this camera is the small grip: it is very tiny and often during this street hands on review my thumb pressed inadvertently the Quick menu button, very close to the rear grip. With that said I would clarify this is a fantastic camera for Street Photography and I would replace without doubts my X20 with this X70. I could buy an optical viewfinder to insert in the hotshoe. Here in Mexico there is an avenue with a lot of used cameras shops where I can find some cool 28mm OVF. Oh, well. About quick reactions I took a picture of this girl crossing the street. For street photographers having alread an X100S or X100T well the X70 appears to be the perfect spare camera, because X70 share with X100T the same dial controls, and of course the entire system is coherent with Fujifilm X series cameras. There is something that is a fundamental factor why I recommend the camera: the X70 counts with a 28mm f/2.8 full-frame equivalent lens, somethindifferent by the X100S or X100T with its 35mm f/2 lens. To have a couple like this I really don’t know what you need more in a full day in the streets, guys. Despite I didn’t use it, I know someone can find useful to have a tilt screen for shoots from the hip. X70 has also a touch screen, but you can turn off on the menu, a thing I immediately did because you can touch it inadvertently with ease. But still can be useful when reviewing pictures. Shooting very close is another thing I do often. I do it at the last moment with my cameras because I love subjects coming out from the frame. If you need a ‘getting closer camera’ X70 can be a great solution. The managing of light is pretty good with this camera. I took this picture with a bad light condition, with harsh contrasted difference of lights and well I was surprised to have the shot taken. Also here I was in a shady spot. I framed fast the have the policeman in that exact position. Image quality is superb. Do you need a second camera for street photography? Maybe Fuji X70 is the one you were looking for. I admit. I did not resist and I inserted in the hotshoe the viewfinder of my Leica X2. Yes is is a 36mm OVF, and there is an huge parallax error, but I would back to my way to work that imposes a viewfinder to get eye contact with ease. 28mm lens and girls: this reminds you anything? Do you know what? I consider X70 an hybrid camera: it is a camera certainly charming for street photographers, but thanks to other features (tilt touch screen) pretty good also for the neighbors daughter girl making selfies and photographing the food at the restaurant. The magical feeling here is that you can count with a tiny, compact camera with a DSLR image quality. This is a camera I would recommend also to those guys starting with photography, who need to improve their skills through a real camera with dials and learning about composition through a fixed lens. Fuji x70’s experience was very good. It is a great street photography camera in a small vest. I would recommend it to enthusiastic newbies in desire to have an affordable camera (right now you can find for 500 Euro) but better than most of point & shoot cameras. As I said this is a camera for street photographers. We talk about a dials focused camera, much more than the direct competitor Ricoh GR. The physical sensations offered by Fujifilm doesn’t have rivals right now, and if you are a street photographer is not possible ignoring this camera. Fujifilm X70 is already a street photography winner in my opinion. Someone defined pricey, but I think nobody is right now offering a camera like this at the same price. FUJIFILM X70 is a funny camera too. You can still make it yours as a notebook camera of your daily routine, but with a wonderful sensation to make it better than any mobile phone cameras out of here. So, street photographer, have a great time with Fuji X70, but beware because your girlfriend can steal it! I WANT A FILM RANGEFINDER. AND NO, IT WILL BE NOT A LEICA. When I was in Los Angeles in 2011 I met and photographed along with several photographers. In particular a guy (sorry I can not remember his name) the one you see on these pictures, was using a Voigtlander Bessa R4M. In this picture he was testing a Leica Summilux lens, but I immediately loved the camera also with the super compact Voigtlander Wide Angle Color-Skopar Pan 35/2.5 PII. For the future I have already decided to buy a film rangefinder and I want that camera with that lens. On amazon is not that cheap but I have already created MY WISHLIST , despite I know I can find the couple for far less money. I am pleased to present you another gift for my followers! Yes, an e-book dedicated to the settings when it comes to street photography and reportage for Fujifilm X Series Cameras!!! Download it now, it is free!!! And if you want to discover other books you can visit the download page on this website!!! You have asked. And I give you this: a comparative article between these two cameras: the Fujifilm X100S and the Leica X2. Who will be the winner? Can we do this comparative? Yes, we can do by the moment we are talking about two 16mpx APS-C CMOS sensor cameras, considered two good solutions when it comes to street photography. And then, on this blog I can speak just about things I know. And these two cameras are with me. Using both when it comes to Street Photography. My value system takes in account the point of view of a street photographer, so my opinion is heavily influenced by this. After several tests I have seen the cameras work better in full manual or speed priority. A little bit better for Leica X2 in full manual. The rangefinder design of X100S wins. When you are working with a camera with this vintage look a lot of people thinks is a film camera. And this is very good especially in some rough places. No story here: X2 needs also a grip to make it a little bit comfortable. But after keeping us very much in hand becomes not that nice. Leica X2 is much more compact. Without the hand grip is even more small. Fuji wins with the hybrid viewfinder built in camera. With X2 I have optical and EVF, but they are sold separately and not that chap too. I recommend you the optical viewfinder for street photography and you can find third parts solutions that are chaper than the original. FEATURES: FUJIFILM X100S/ LEICA X2 ??? Well. I really don’t know if we can talk about a real advantage. The fact is that I love the rigid and minimalist system of Leica X2, focused just on photography, without video features for example. The film symulation of Fujifilm is precious in any case. I use to work only JPG. There is a way with Leica X2 to get very close to Tri-X film: using 1600 ISO. The imaging quality is extraordinary for both. I love the natural sensation of the black and white out from Leica X2: it looks very similar to film. I am a little less satisfied with the color from Leica X2 and in this case Fujifilm wins thanks to film simulation: I love Velvia. For Black and White with Fujifilm my way to go is Black and White + Yellow filter in order to obtain a more natural aspect of human subjects. This is fundamental requirement for me when I look at a camera for street photography. Without a good pre-set focus system I don’t even consider a digital camera because I am used to work with zone focus. The systems are pretty different here by the moment the lens of Leica X2 doesn’t allow you to count with a focus ring but you can set the focus distance and memorizing it. I really love the system created by Fujifilm, in line with all the X-series cameras. It is already so familiar to me. I love both for the quality of the lens, but there is no game due to the fact X100S is a real pancake, without stretching when in use. It is not huge in the Leica X2 but it seems like a zoom lens. Oh, Fujifilm you need to improve here! It is in fact very easy turning on accidentally the X100S. In this sense Leica X2 has a better power button. I am sorry, Leica but Fujifilm wins. And I am not even talking about the AF, totally unreliable for this red dot camera…I am talking about the buffer lag after making a shot. Hey, as I said, I am using the camera in JPG exclusive mode, and of course I am using both single shot mode (continous is for suckers) and with Leica I can not make immediately another shot. This is really annoying sometimes! Of course Fujifilm wins in this particular field. We are talking about 2 good silent mode, but Fujifilm can be completely no sound if you choose silent mode. With Leica X2 I can still hear something when I press the shutter button. Oh, Leica has the bigger learning curve I ever experienced with a camera. It is a precious lady in any sense. Fujifilm is much easier. The satisfation to get familar with Leica is rewarded because is a great camera for street photography. Yes, Fujifilm X100S is the overall winner of this comparison. No surprise for who is a loyal reader of this blog as I published here. I prefer the experience with Fujifilm, the feeling on my hands. It looks to me a real camera, if you know what I mean. We are talking in any case of 2 fantastic tools for street photography. Leica is always Leica, but Fujfilm is doing pretty good: they are proposing fantastic cameras with their X-Series that are perfect today for street and documentary photographers. I know colleagues switching completely to Fujifilm, and I am talking about reporters. I receive almost everyday questions about what camera is good. I can talk by me and I am happy with mine. Of course if 35mm focal lenght is not your cup of tea, you need to see at other proposals out of here. But if your focus is documentary and street photography, 35mm is good for you, the se 2 cameras a re a great thing. With a preference, as you read here, for Fujifilm X100S. You know what? I think shooting film is great and anyone should try also in the digital era. Especially if you are a street photographer, shooting film gets still sense. 10 solutions for street photographers. But this is not the classic best 35mm cameras blog post because starting from a consideration: real street photographers are making street photography everywhere. I mean: EVERYWHERE. Or you define yourself a street photographer and then you do photographic walks? This is ridicolous: a street photographer doesn’t make this. A street photographer should always taking pictures, anytime, everywhere, because is just like breathing, because is an attitude and a way to approach life. I know there are some proclaimed themselves “street photographers” taking pictures just in Downtown. Well, this is an uncorrect way to be a street photographer. Shooting just Downtown because you feel safe in many cities doesn’t convert you in a real and good street photographer. As a photographer shooting also in barrios (suburbs) I enjoy to take pictures with discreet, small, not shining compact cameras. And is pretty clear it makes no sense that I propose in a post like this film cameras that are bigger than my X100S. I have also 2 Pentax SLR and a Yashica Electro GSN, but guys, they are not a smart idea to carry with you if you are taking pictures in popular neighborhoods. There are fantastic solutions for street photographers who want to take pictures feeling themselves pretty quiet also in places not considered the most safe of the world. That said, let me say a thing: I am not crazy and I always know what I can do and what not, where I can go and where is better avoid to go, especially with a camera. Personal safety is the first thing and I am not making apology to risk your life for a photograph. If you are looking for a very small camera this is your choice. Not so cheap, but hey, this is a dream camera, perfect for a street photographer! It is a replica from a Russian camera, with a not perfect lens, giving you a heavy vignettature. If you are looking for a stylish camera Pen is the solution for you.I include also the Trip: these cameras can be found still with realitive ease. A sharp 38mm f/2.8 Zeiss Sonnar retracting back into the body when not in use. A fantastic tool for street photographers. I think I already said how much I love this camera and you have seen some photos taken with on this blog. This camera has the shape of a travel bar of soap! Well, here we are talking about one of the most respected and appreciated point & shoot cameras for street photographers. I do not need to add more than this. My first film camera was a Fujifilm camera (the cheap Fujica, if you have one please send it to me!) and this one in particular has a a 28mm f/2.8…is it clear, street photographer? This is another camera I am using. A dear friend (thanks Gabriele) sent me this camera from Italy and I have to say I love to take pictures with this. Several street photographers say great things about this camera and is not difficult to know why: a superb high-quality f/3.5 40mm Tessar lens made by Zeiss makes me want to have one! Hey looks at the picture! This funny series is simply pop and catchy and the Hexanon 36mm, with a maximum aperture of f/4 reveals to be a great camera also for street photographers. Of course, there are a lot of cool 35mm cameras out of here. Visit markets and shops selling second-hand photographic gear: you can find precious cameras for a few dollars. I did not think twice about buying it: I asked how much and the vendor replied me: 200 Pesos. It is about 12 $…12 $ for a full frame…cool! The kind of deals I like…Now is already mine, I have the rechargeable batteries, just need to buy a charger that I can find easily. It is just a simple point & shoot pocket film camera, exactly what I am looking for when I think to film cameras. No need to have huge tools for my photographic approach. I just need to take the picture, just need to focus on the story capturing the moment. Lens: 35mm, f/3.5 (3 elements in 3 groups). Active multi-beam autofocus with 100-steps for a huge range of distances. Pre-focus lock enabled. Film format: 35mm DX-coded film, ISO 50-3200. Automatic exposure with shutter speeds of 1/15-1/500s. Film advance: Autowind and rewind. Integrated flash with four modes: Auto, red eye reduction, fill-in, disabled. The Stylus is a fantastic pocket camera with a 35mm lens: my lens! It will be a great companion to carry with me also when I want to go lighter just with my Fujifilm X20. I will make tests and hands on reviews on this blog, so stay tuned. There are cameras specifically thare are most indicated for street photography. I have my ideas how a camera should be when it comes to street photography. With this post I want to present 10 digital cameras I recommend, based on their features. Street Photography is not macro photography, and not even architecture where the photographer require certain characteristics. Street Photography is focused on catching the moment, telling a story, and as street photographers we are looking for the spontaneous, often the imperfection can be the added value, and the street photographer finds himself often photographing suddenly, in a action-reaction, where the instinct is a fundamental component. We can affirm that a street photographer is a photographer different from the others. We read often the camera is not very important, and I agree, but just in part with this statement. As photographers focused on content and telling a story we can pretty much use whatever works for us. And I recommend to people asking me about a camera, first of all, to analyze themselves as photographers, their approach and then to choose the camera that best meets their attitudes. I am a street photographer. Often I walk a lot, and I can be on the streets a full day. I carry my camera secured to my wrist all the time. I really need a light camera as much as possible. Best cameras for street photography are light and must feel like an extension of myself, I need almost to forget to have a camera until I decide to bring the viewfinder to my eye to point and shoot. What I ask to my camera for street photography is that I can use it with one hand. For this reason I prefer to choose a camera can be used in a easy way as the film cameras. My ideal camera has accessible and easy to use controls. I prefer dials and and not to get lost into complex menus. A small sized camera is what I need. I require this feature, first of all, because the last thing I want to appear is like a photographer. I know, there are a lot of posers that want to appear photographers because they are not real photographers, but my way of thinking is exactly the opposite. I am not just a Downtown photographer: I take pictures in places where personal safety is not often 100% secured. I need to be stealth and very discreet. I need also my cameras not attract too much attention. A compact and inconspicuous camera is the ideal for street photography. OK, this is an indispensable feature. If your camera has a click too noisy is not a good street photography camera. There are many compact cameras today with inesistent noise of the shutter, others have the option to mute the shutter sound. Another essential feature. I need to work with cameras with a good pre-set focus system. In the street I prefer to go full manual, and I don’t care that much of AF. For me, the way to go is zone focus, as I explained in this article. A fixed prime lens is all I need. A fast prime lens allows me to work pratically with any light condition and it represents the ideal solution for street photography. I am used to work with a 28mm or 35mm. No need more than this. Down below I made a selection of digital cameras that I consider great tools for street photography in 2015; don’t expect to find a DSLR by the moment this list is made by me and my preferences don’t consider DSLRs. My selection has been made considering the features of the cameras, without a direct experience with many of them. If you ask me I can’t afford a camera at that price. But with Q, Leica seems to be very close to the perfect digital camera for street photography. Essential as a Leica camera, a light full-frame with a prime lens, currently is the dream camera for many street photographers around the world. In fact the camera is already selling pretty well, despite the price, 4000 Euro… With this camera, Leica is pointing a path. Still a Leica. Leica D-Lux represents my dream camera: I mean, I would not mind a Leica Q or a Leica M, but I would not risk to take in certain neighborhoods those cameras. Leica D-Lux could represent the first Leica camera to know certain Mexican barrios. The Leica D-Lux features a Four Thirds sensor and its diagonal measuring precisely one-half of the 35 mm format diagonal, so also the image quality for this compact camera is fantastic. If I had this camera I could forget my Ricoh as a everyday camera. A credible alternative to Leica? Fujifilm. They are proposing fantastic solutions especially dedicated to photojournalists and street photographers. I tested the Fujifilm X100S for a month, and I can ensure the digital rangefinder by Fuji is one of the best digital cameras ever produced. In a month I could not find fault, almost for the features I ask to a camera and I enjoyed completely the experience. I come from film photography and, hey, shooting with a Fujifilm camera is an experience very close to this. I love the sensation when I have the camera in my hands: it has been love at first sight. Well done, Fujifilm!!! Now I need to have a Fujifilm camera! As I said I am not an AF addicted, but if I should decide to work with a super-AF camera this small and pretty well built camera could be the choice. I was an Olympus user and I know the great quality produced from this brand. I have friends that are street photographers and they are very happy with this camera. I believe them. Well as one of the first photographers to believe to Olympus with the Pen I decided to insert in the list also the new Pen E-P5. My shooting experience with the first Olympus Pen (E-P1) has been excellent: it was the prime camera when I became a pro. I am pretty sure the camera has just improved. today I could use this camera as a second camera to have with me in my bag. Another camera I did have in a previous edition (LX3) but this is one of the best compact cameras ever made. With a Leica DC lens and manual controls this camera can represent a fantastic solution for street photographers. another camera to carry everywhere. Well, with ricoh we are talking about a a myth for street photographers. A tradition started with the point & shoot film cameras to continue with the GRD series. The evolution of that series is called GR, proposing an aps-c sensor. One of the things of Ricoh GR is its look because inexperienced people mistakes herit for a supermarket cheap digital camera. When Ricoh is a cult brand for street photography. The snap focus feature is a great system and I love also the fact I can save 3 programs to have always the camera ready to shoot. And then, a camera with a fixed lens… LOVE. If you need a camera system point to this. The enjoyment to work with a digital rangefinder with the versatility of a system. now you know many photographers decided to swtich from DSLR systems. Oh, I know, someone will ask about Canon G…but I prefer the Fujifilm. It is a fantastic compact camera with interesting solutions for us (as the possibility of memorize the favourite focal range) and it can represent a good second camera for your bag. Do you want a real pocket-size high-end compact camera? Canon Powershot S120 can be your choice: with a f1.8 zoom lens can represent a great solution to have a camera always with you. Forgot something? Of course. This is just a selection. My selection. You can comment to indicate your cameras. Probably I will make also a film camera post in the future.Stay tuned!!! This blog has existed for more than four years, but I don’t think I’ve ever shared a classic day in the streets of Mexico City with my readers. That time has arrived. I am shooting on a daily basis in the streets of Mexico City. This means that I always carry a camera with me everywhere I go but only some days in the week are dedicated to Dowtown. Those are the hours I appreciate most because I can use Leica X2 (in the barrios I prefer to work with Ricoh GRD IV for obvious reasons of personal safety) and I can enjoy the street shooting experience at its best. I hope my readers can appreciate the description of my typical day shooting in Downtown. The day starts starts really early for me. When a day in the streets is scheduled I prefer to prepare everything before. Batteries already charged the evening before, a shower before bedtime…when alarm clock rings I get up and I’m going for a coffee. It is an espresso, made with my Italian coffee machine, and I drink as every morning the amount of four coffee…I check out the messages to my email, then I go for a fast wash, brushing my teeth etc. I check out another time the computer, my facebook, other messages in my email. Finally I am ready to go. A kiss to my wife, an affectionate greeting to cats and dogs. Already out in the streets. My camera bag is the Retrospective 5. Inside the bag I have: My Leica X2, my iPad mini, a fistful of business cards, a spare battery, a bottle of water, sometimes an all bran snack. No need more than this, I avoid anything unuseful to keep my bag as light as possible by the moment I will be almost a full day in the streets. I walk to reach the bus terminal where I take the one will take me in Downtown. I know in other cities photographers go with their cars, but I don’t have a car and believe me, in Mexico City the car is not the smarter solution to go to Downtown: it is like my hometown, Rome, a big mess to find parking. And then, the microbus is an opportunity to me, because I have the chance to get more in tune with the city and the varied humanity. As a writer and a street photographer I am first of all an observer of gestures and expressions and I always loved taking public transportation. It depends on traffic when I will reach Downtown. Usually I stop at Revolucion pulling out the camera. I start to take pictures, the first pictures made to tune into the city. It is always important to become familiar once again. No matter how much I am used to take pictures in Downtown. Every day is always a new beginning. I head to the Zona Rosa, but I want to do it with a longer ride, so I pass the Mother Monument, taking a street parallel to Reforma. The light is great, I love the sunny days because I get high contrast, the ideal for my kind of photography. I focused on shadows and lights. At this hour I get very interesting effects. I use my Leica X2 as a film camera, full manual: manual exposure and manual focus, with the sunny 16 rule. Usually I prefer to work at ISO 1600. It seems the sensibility ideal to get that Tri-X effect with my digital camera. In a sunny day F16 works fine for many shots but I change the settings based on what the situation demands. Usually I keep the speed between 500 and 1000, but in the shadows I can set the aperture to 5.6, or for example if I need to photograph inside a store window I can lower the speed to 1/250 or widen the aperture to 4. Intense wandering and photographing without a particular destination. Walking along streets, rehearsing for some of them maybe going back… sometimes I push for Insurgentes. It is very warm sometimes in Mexico. Not that warm as Rome, but hot enough. I decided to stop. Time for lunch. I have many options in Zona Rosa: a good place for Mexican burgers, typical cuisine, but also a fantastic Japanese restaurant. Waiting for my order to the restaurant I can review the images, but usually I avoid. I am using Leica X2 with the optical viewfinder and the LCD off, because I want to live the experience as when I use film. And I want to take advantage to forget what I photographed until that moment. So I avoid to feel satisfied and becoming relaxed. I prefer to take advantage of the wi fi by checking out my facebook and my email. This is a contrast that always strikes me a lot: the energy is totally different on the afternoon. Many more people, different kind of people, some coming out the work, couples taking a walk…light is different, giving new inspiration. Zona Rosa is fantastic in these hours, the sun kisses the buildings giving them a new dimension. I take pictures for an hour then I decide to head to the historic centre. It needs to walk a bit but a street photographer can’t be afraid by this. I am tired but I force myself to go until Zocalo, the enormous historic town square. Madero Avenue is crowded, it becomes almost difficult, I am forced to slow down my steps, I focused on the characters. One of my students coming from Australia said me he was surprised how in Mexico the most diverse social classes mingle in the streets. Time to back at home. Light has changed. The aperture of my Leica widens. I love how they have modernized 16 de Septiembre, suitable for pedestrians, it has become even more one of my favorite areas to take pictures. I decided to reach Eje Central and Bellas Artes walking in this street. The buildings and the window reflections of the fashion stores are important elements for my visual research, making more interesting my documentation. Mexico City yet is able to get me amazed, able to give timeless photos, where the subjects seem to come from the 50’s. I must reach the microbus in Revolucion. I prefer to walk for Insurgentes so I have still time for other pictures. I am exhausted, but not my eye and my camera, my desire to raise the camera and bring the viewfinder to my eye to compose and shoot still alive. I take the last shots before boarding the bus. Back at home. My wife received me with a hug and a kiss, asking me how did it was the photo day. I took a lot of pictures but always one shot per situation, agreed with William Eggleston, why I should take several pictures of the same thing, I prefer to look ahead and prepare me for the next shot. Tomorrow I will dedicate the morning to navigate and editing the photos in Lightroom. Now it is time go out to eat with my wife and then see a good movie with Netflix.